How do I become a member? 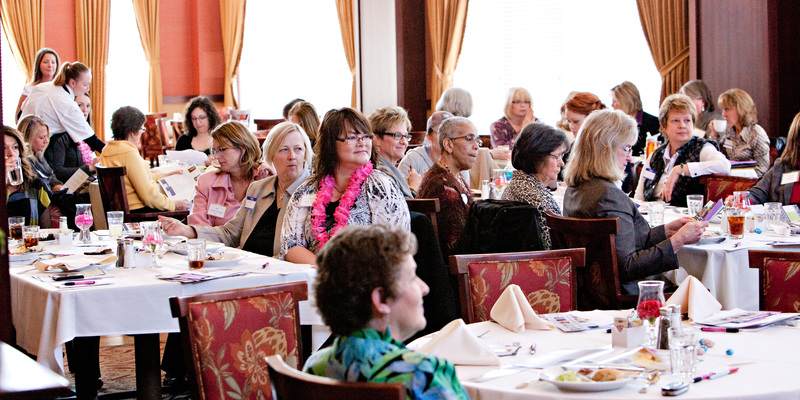 Once you attend a WOW event you automatically become a member and your information will be added to our mailing list. Is there a monthly or yearly membership fee? No, the only fees associated with membership are those that are required for registration for each event. What is my registration fee used for? The monies we collect for registration pay for the expenses we accrue for each event including but not limited to food, space, and marketing materials. Is WOW a non for profit organization? No, we are an LLC organization. We do have staffing fees as well as marketing fees. Any profit made goes directly into the WOW organization and its needs. What happens if I have registered for an event and I am not able to attend? We allow a 24 hour cancellation policy. If you should ask to be refunded after the 24 hour grace period, we cannot process your refund for any reason. What happens if I have not registered but would like to come and the registrations are closed or sold out? You may still come to the event and check to see if we can accommodate you. Any attendee that did not register on line will be charged a $25 fee at the door regardless if we can provide lunch for you or not. If I attend an event and then do not attend for a while, will I still be on the invitation list? Yes, your name will not be removed unless you ask us to remove you. Why am I not receiving invitations from WOW? It may be that the emails are going into your Junk Mail. Please take appropriate steps to ensure our emails land in your inbox. Do I need to receive an invitation in order to register for an event? No, you may go to the website anytime and register for any event you choose. Do I need to bring a receipt to the event to prove that I have registered? No, once your registration is complete, you will get a message saying “Thank You for Your Registration”. This is confirmation your registration has been accepted and you will automatically be added to the list. The coordinators will have your name on their list upon your arrival. Do you accept late arrivals? Yes, however, we ask that you arrive quietly as we may have begun our event and presentations. Please check the check in table for your name tag. If you do not find a name tag, one of the WOW coordinators should be able to help you. What is the etiquette during a WOW event? Upon your arrival, you are encouraged to meet and network with all of the ladies. We ask that you find a seat, silence your phone and begin your lunch. Once the presentation has begun, we ask that you remain seated and enjoy the presentation. Once the presentation is over, we will ask each attendee to speak for their 15 or 30 second commercial. If you have brought an item to give away, you may speak for 60 seconds during the drawing portion of the event. If I would like to offer a drawing, how can I do so and what benefits will I receive? It is a first come first serve upon registration the day of the event. We can only accept 6 drawings for each event due to time constraints. Regardless if you are a new or a repeat member, we will not make any exceptions. We will not take any reservations for drawing items. If you would like offer a drawing for an event, please see Jennifer upon registration. The first six to inform Jennifer will be given the opportunity to offer a drawing item. Benefits of offering a drawing are you will receive 60 seconds instead of 30 to give your commercial about your business. What is a 15 or 30 Second Commercial? A 30 Second commericial is an opportunity to tell others about your business and your passions in 30 seconds. In this 30 Seconds, you should say your name and the name of your company or what you do and why you do it. You should also ask a question to those you are speaking to about why they may need you or your services. Once the 30 seconds is up, those listening should want to know more about you and want to talk with you further. If I need to change my contact information, who should I contact? When you are in the Eventbrite website, you should be able to click on the Eventbrite Logo; this will take you to an email format of which will be sent to the sponsors and coordinator of the WOW events. Do you share my information? If you are registered for an event, your information will be placed on an attendee list. This list is given to those that attend the event. If you choose to not be included on this list, please contact the host of the event.